An Tasc - Forás pearsanta, sósialta, oideachasúil agus gairmiúil na mac léinn a chur chun tosaigh agus iad a ullmhú mar bhaill neamhspleácha, freagracha den tsochaí ina mbeidh siad páirteach. 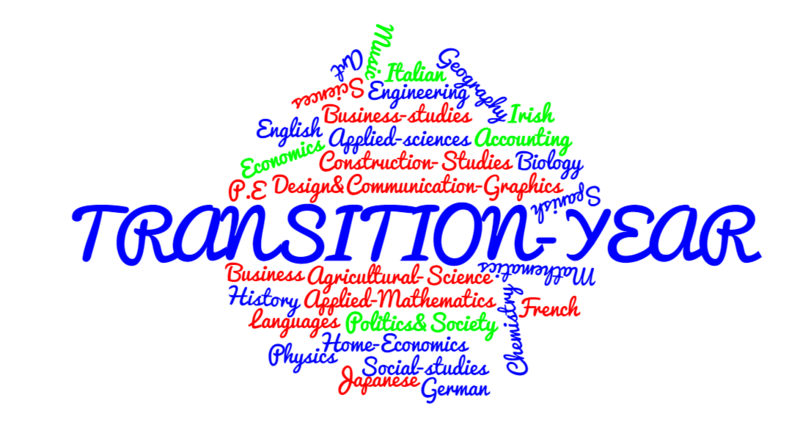 The latest statistics for TY Students participanting in Transition Year are 40,451 in 664 schools. The TY Get up and Go Competition will not be taking place this year 2018-2019. Apologies for any inconvenience caused and we would like to thank all those who participated in the competition over that last number of years. GET UP AND GO from PDST on Vimeo. If you are considering introducing the TY in your school, please complete the application form. The Tacklebullying.ie Competition is now live on www.tacklebullying.ie - All materials can be download from the website and posters will also be submitted on the website. Prizes include a VIP tour of Facebook for winning teams, Sports equipment, One4All vouchers for pupils and Security software licences for schools. Tourism insight is a new initiative developed by the Irish Hospitality Institute in collaboration with the Institute of Technology Tralee with the support of Fáilte Ireland and the Irish Hotels Federation. The initiative was formally launched nationwide 29th September 2016 by the Minister of State for Tourism Patrick O’Donovan. The programme provides valuable tourism insights to transition year students and other learners, informing them of career options within the tourism industry. Tourism is everybody’s business and every interaction with a tourist is an opportunity to make them feel welcome and we want everyone to understand the value of tourism and of every tourist. Cycle Against Suicide is an initiative started by Irish entrepreneur, Jim Breen, as a result of his appearance on RTE's The Secret Millionaire programme. The main objective of the Cycle is to raise awareness of the considerable help and supports that are available for anyone battling depression, self harm, at risk of suicide or those bereaved by suicide. The Cycle Against Suicide community is determined to let people in every corner of the island of Ireland know that; it's OK not to feel OK and it's absoluetly OK to ask for help. Together, shoulder to shoulder, we can break the cycle of suicide on the island of Ireland. The Iveagh Scholars programme is a way for secondary-studens to share their views on Ireland's role in the world, and to get involved in the discussion about how the Deparment of Foreign Affairs and Trade promotes abroad the values, interests and economic well-being of Ireland and its people. The 121digital programme facilitates approx 500 TY students annually to experience the power of enabling local adults with digital skills. This, in turn, empowers the TY students who volunteer for the programme. It is their first experience of teaching and it matures them on several levels. Free school talks to students of looking at topics such as child labour, trafficking, gender inequality and the work of HOPE.